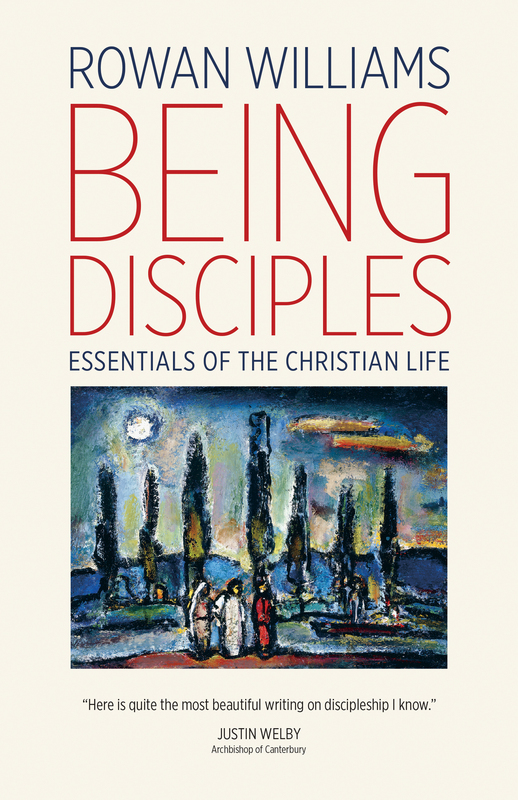 Discipleship is a mode of being, a way of life—this is the conviction that forms the guiding center of Rowan Williams’ reflections on the nature of following Jesus in his newly published book, Being Disciples. “We are caught up in the task of showing that what we say is credible,” he notes in the introduction (p.vii). While this task is always a pressing demand for those who follow Christ, I dare say that there are aspects of life in today’s America that make it especially challenging (let the reader understand). The main body of Being Disciples is composed of six chapters, which were originally delivered on separate occasions as lectures and talks. The book itself forms a companion to Williams’ earlier examination of the essentials of the Christian life, Being Christian. The topics he addresses range from holiness and forgiveness, to the role of the disciple in larger society and life in the Spirit. In this post, however, I wish to concentrate especially on his opening chapter, “Being Disciples,” which gives some important reflections on what it means to embrace the invitation and command of Jesus to “Follow me” (Matthew 4:19, NRSV). These are rightly challenging words. Christians must squarely face this summons of Christ to “Follow me,” including the call to love, listen to, and stand in solidarity with those excluded and marginalized by the rest of society. As they do this, they also must not forget that the Christian life is grounded in the empowering, incongruous grace of God. It is through the Spirit’s empowering presence—to borrow a phrase from Gordon Fee—that disciples cultivate the fruit of the Spirit and become more closely conformed to the image of their crucified and resurrection Lord (Gal 5:22-23; Phil. 4:13). In practical terms for Williams, this means “seeking constantly the company of other servants of Christ, the company of the revelation of Christ in Scripture, the company of the Father and the Son, in the Spirit, in prayer” (pp.15-16). He seems to have little time for those who get sucked into disagreements about the relative importance of contemplation and action in the life of a disciple (p.17). In the same way that Jesus declared both love of God and neighbor to be central to the message of the law and the prophets (Mt. 22:36-40), discipleship must be rooted in both contemplation and action. For Williams, it’s both unnecessary and unwise to hold them in opposition. He suggests that seeing “contemplation as an openness to the real roots of transforming action” allows people to better grasping these two dimensions of spirituality as mutually enriching rather than in opposition to each other (p.18). How should we situate Being Disciples among the various other books that have been written on what it means to follow Jesus? Beginning to answer this question could take us in many directions, but for now I would like to briefly bring Williams’ book into conversation with the pictures of discipleship sketched by Eugene Peterson in A Long Obedience in the Same Direction and Dietrich Bonhoeffer in The Cost of Discipleship. For Peterson, the challenge of discipleship is (among other things) that it demands a commitment to following Jesus over the long haul (p.202). Following Jesus doesn’t lead to an easy, quick, fix for the problems of life—hence the title of his book. Peterson argues that in a world where there are many voices advocating easy fixes and hasty solutions, Christians need to stop being tourists and begin living as disciples and pilgrims (p.17). In this respect, it can be seen that the conceptions of discipleship held by Williams and Peterson flow out of the same kind of tradition. Bonhoeffer’s volume, first published in 1937 during the intense and tragic years leading up to the Second World War, is a direct and passionate call for Christians to remain faithful to Jesus in the midst of heavy attack. The Cost of Discipleship is, in Andrew Root’s words, “a book that in almost no way is after nuance, but only the provoking of direct, immediate, and faithful following of Jesus Christ” (Bonhoeffer as Youth Worker, p.173). While Williams’ writing does insist that Christians must respond to Jesus’ call to discipleship, and even that this will take them into uncomfortable spaces, it lacks the stark, intense tone of Bonhoeffer. Being Disciples and A Long Obedience in the Same Direction present Jesus’ “Follow me” largely as an invitation to grow up in Christ over time, but The Cost of Discipleship presents it as a command and summons that Christians dare not ignore. Both of these emphases are important in every era, but they are especially important in this one. This entry was posted in Book Reviews and tagged Book Reviews, Discipleship, Fruit of the Spirit, Rowan Williams, Spiritual Formation by joecrow91. Bookmark the permalink.